I’m Laura, a 3rd year Animal Science with Computer Science student at the University of Nottingham. 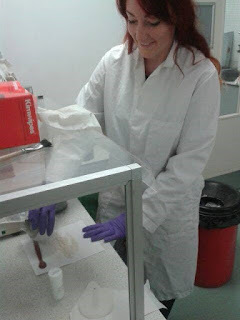 During summer 2016 I undertook a project looking at heavy metal and bacterial contamination of fish sold in the UK, in collaboration with the Inorganic Geochemistry Team at BGS, Keyworth. Although this may not seem like the most exciting topic (you might think there are bigger fish to fry) we currently import 70% of our seafood. It is important to monitor these products for harmful substances to find out what we are really eating. The main focus of the project was to compare imported farmed fish from Asia with wild caught and EU farmed fish. We often see horror stories in the news about food from abroad containing all sorts of scary things. But is there any truth to this or is it a load of codswallop? Although it is widely known that higher trophic predatory fish, such as tuna, contain high levels of mercury, there has not been a lot of research into species lower down the food chain. As it is a potent neurotoxin it is important we do not consume too much. Mercury bioaccumulates in our tissues causing damage to the central nervous system, especially in infants and unborn babies. Other heavy metals such as lead and arsenic are similarly poisonous, and the presence of these would be an indication of the quality of the environments the fish were farmed in. If any of the samples contain harmful bacteria there is a danger that they could cause illness when consumed. The poorly regulated use of antibiotics in fish farming and present in the environment through waste from human activities is also a concern. This could drive antibiotic resistance in bacteria and result in antibiotic residues being present in food due for consumption; growing levels of antibiotic resistance pose a threat to global health. First of all I set off to the supermarkets, re-usable bags in hand, to purchase an array of fish ranging from haddock to the river cobbler. Back in the lab after a lot of chopping, mashing, drying and grinding I had reduced the fillets to fishy powders. This was offish-ially very smelly work and I was definitely not the most popular around campus that week. 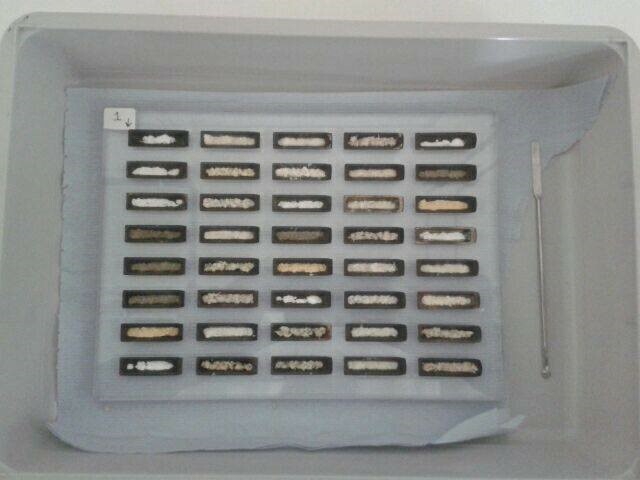 I then headed to the Direct Mercury Analyser at BGS to quantify the amount of mercury present in each fish. The brilliant team at BGS Keyworth also carried out ICP-MS analysis to determine other elemental contaminants. Using molecular techniques I identified which fish contained pathogenic bacterial DNA. 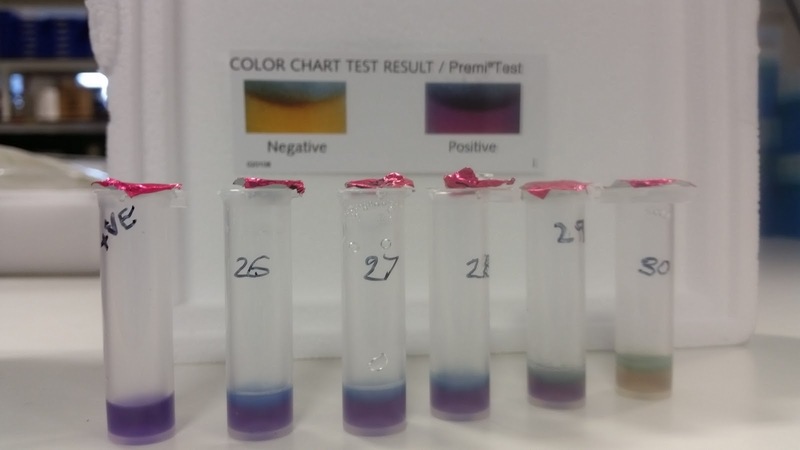 A simple validated test revealed if any of the fish contained antibiotic residues. I did find fish on sale in the supermarkets that contained mercury levels above the UK legal limit, although the majority of the samples were below. Over half of the fish contained DNA from Salmonella species and two fish species contained Campylobacter DNA; both associated with food-borne illnesses in consumers. The worst offenders were the farmed fish while the wild caught fish contained less bacterial contamination. All of the fish farmed in China tested positive for antibiotic residues but so did all of the haddock, wild caught in the Atlantic Ocean (what a red herring!). 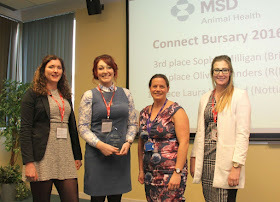 I was lucky enough to be given the opportuna-ity to present my findings at the MSD Animal Health Headquarters in Milton Keynes (who part funded my work), along with student representatives from other UK Veterinary Schools. They fund projects at each of the UK Veterinary Schools every year and offer awards for the top three projects. We each gave a presentation, headed off for lunch and then a tour of their facilities at Milton Keynes while the MSD panel discussed and deliberated. Amazingly I received 1st plaice, which just goes to show any-fin is possible. Thank you to everyone at BGS Keyworth for their help with this project, particularly Dr Andy Marriott, and for making me feel so welcome in the labs. I would also like to thank my University of Nottingham supervisor, Dr Tracey Coffey, for giving me this opportuna-ity. This work was funded by a BBSRC Research Experience Placement Award and MSD Animal Health.